Sapa is the famous destination in the trekking tours in Northern Vietnam so you should come here to have more experience in your life. Actually, tourists will be impressed by breathless beauties of this land and the colorful culture of the ethnic group there. Additionally, you completely admire a beautiful valley where you feel ever closer to nature when the wind brings clouds to your dining table. Particularly coming to Sapa without trying the best things to do in Sapa Vietnam, you will never have the perfect holiday in 2018 on your trip to Vietnam. 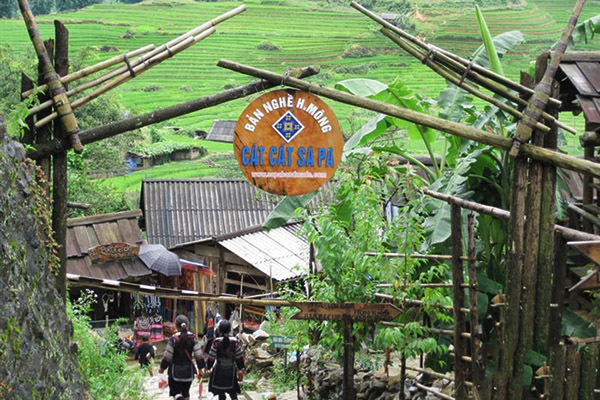 Cat Cat village is located near the bottom of the deep valley right at the foot of Fansipan Peak and situated in a beautiful valley about three kilometers from Sapa Town. Cat Cat is the old village of ethnic groups which attracts tourists from all over the world for its distinctive customs and practices. This is a village of Black H’mong people where you can discover many interesting facts about their daily life as well as culture and architecture. Next, coming here you can buy several traditional handicrafts right from the craftsmen such as twisting flax and weaving fabric. This village is the perfect place to see traditional clothing being made, hemp being dyed and women weaving. Another village in Sapa you shouldn’t miss is Shin Chai village where you approach after keeping the walk on the road to pass 2047 meters. The trip will stop at the pass for you to breathe the mountain air while viewing the mountains and forests below. The Red Dao ethnic group live in this village, they wear the beautifully embroidered clothes with distinctive an enormous red turban and the silver jeweler so it is an attractive point. 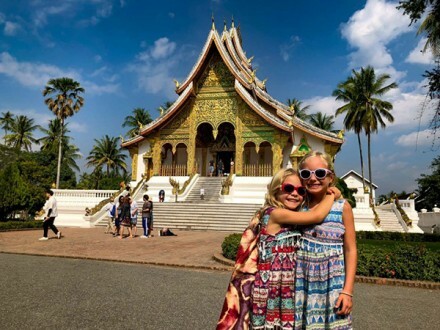 After that, you should take a walk around an ethnic minority village and interact with the local people, the very special thing is that all the kids in the village will be your companions during the adventure as you will fall in love with them. They will be around all the time, singing, dancing or anything to make you smile. Moreover, you can teach them songs, poems that you used to love when you were a child. 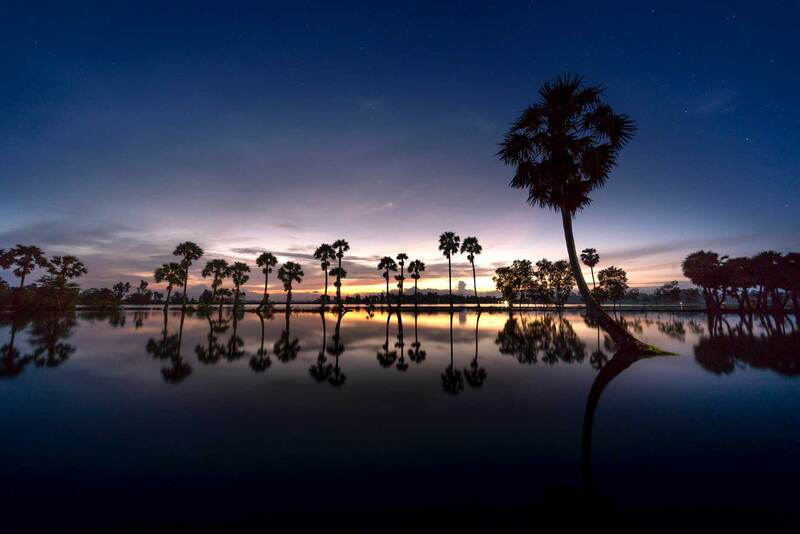 You continuously explore Lao Chai – Ta Van where you can grace the life of ethnic minorities, admire the spectacular natural scenery with the terraced rice fields. Coming to this village you know how they make their traditional clothes, handicraft, indigo… During the time in Ta Van village, you are recommended to taste some special dishes of ethnic Giay such as roast fish, horse meat, sticky rice, enjoy festivals, folk games: Nao Cong, Roong Pooc…or participate in tours of the village. Of course, the biggest valley which you shouldn’t miss as it offers to the awesome landscape of the golden rice terrace field in Vietnam. Continuously, coming to Ta Van which is a small group of Dzay people in Northern Vietnam, they still keep a rich and traditional culture. One of the best things to do in Sapa Vietnam is admiring terraced rice fields from above. Because, Sapa is famous for romantic beauty with the stretching rice terraces on the hillsides, which is considered as one of the best beautiful landscapes in the area. After catching up the stopping place, you can relax and gaze the peaceful moments. 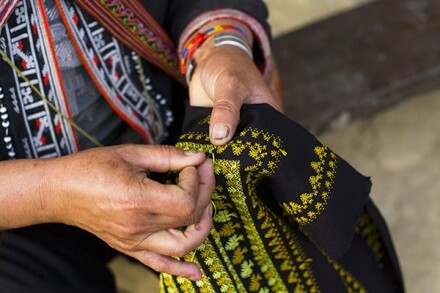 Visiting Sapa, you shouldn’t miss local markets, which express cultural distinction of the ethnic minorities here. 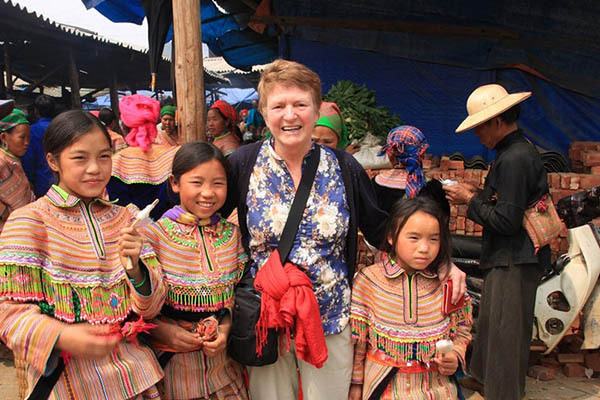 There are some popular markets such as Coc Ly, Bac Ha, Can Cau…. Definitely, almost the ethnic groups participate in the market for trading activities of diversified goods such as brocade, jewelry, weaving products, etc of hill tribes in the mountain area. You have a chance to see the locals in their colorful traditional dress. 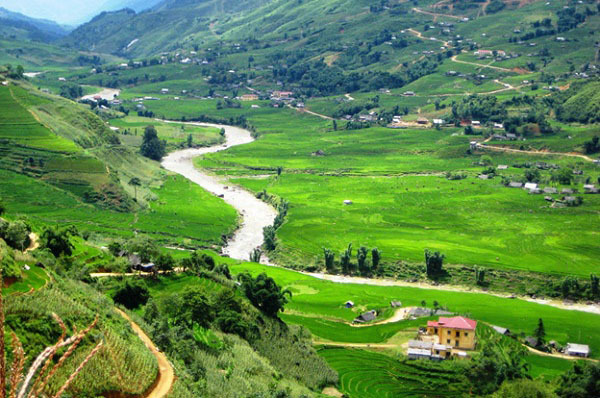 All of them make Sapa as one of the best places to visit in Vietnam. For example, Bac Ha Market is the biggest minority peoples market in Northwest Vietnam, which holds in every Sunday. 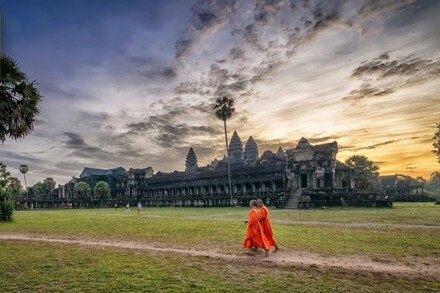 Additionally, you will meet Flower Hmong (Red Hmong), Black Dao, Tay, Nung, La Chi, Phu La and other minority groups who come to buy and exchange the necessary goods and livestock, to renew friendships. 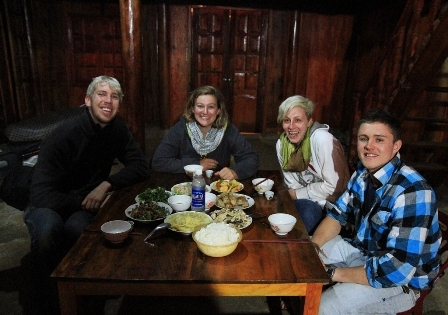 It is believed that homestay is a great experience in the trip if you would like to have fantastic experiences to discover customs, traditions, and practices of some ethnic minorities in Sapa. 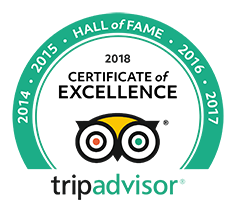 This is also a chance to share some interesting stories with the host family, and enjoy special foods. You will enjoy the meals with the whole family. Secondly, everyone in the family can talk and discuss the experiences of the day. They show tourists some photos of other travelers from around the world who visited them. And you can keep the memories by some pictures of the hosts, photos are really interesting. This evening ends slowly and we drink a rice wine, they drink the rice wine almost every day. The hosts are very friendly; they share the stories in the diary life. 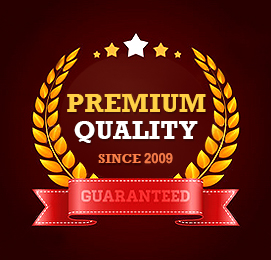 Especially, you saw how people live in absolute poverty without a large income. You know that the life of these people is difficult, it seems to you that they are satisfied with this. This is a famous rice dish of the ethnic minority people in the Northwest of Vietnam cooked by sticky rice and grilled in the bamboo tubes. Sticky rice is put in a bamboo pipe and added some water. The bamboo chosen should be fresh and young. To get a more delicious taste, local people usually use natural materials like stream water and some salt. When it is done, the singed skin of the bamboo is removed, leaving a thin cover that is also peeled away when you eat. 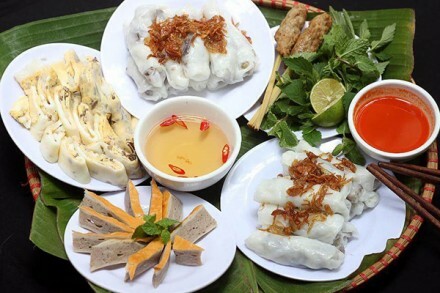 Xoi Bay Mau is a traditional food of Nung people in Muong Khuong District. The seven colors include pink, light red, dark red, indigo, yellow-green, green and yellow. 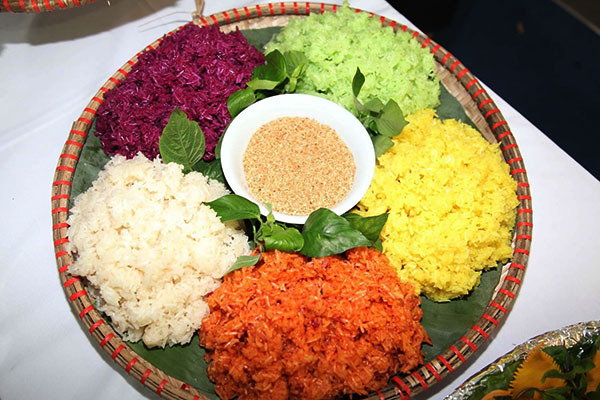 The colors of sticky rice are made of different kinds of materials in the forest. Thus, the local people believe that eating the seven-color sticky rice on special and important occasions will bring good luck. Thang Co is the traditional food of Hmong people and it has been cooked for hundreds of years. Thang Co is a type of soup which is made of the meat of horse that is one of the popular meets. In the first time, you can feel difficult to eat because of its strange taste but that feeling will be blown away once you taste it. For experience cooking, to the complete this traditional food, it does not only require so much time but also the skill of cooks. The locals stew horsemeat with these 12 spices in a big pot within a couple of hours. The local people make the soup from the fresh vegetable and a special red hot pepper name Muong Khuong. The small pig’s weight is less than 10kg so that people can put into the baskets, even put in the armpits. Self-feeding on steep slopes and struggling with cold weather throughout the whole year have made this type of pig’s meat more shriveled. There are many favorite traditional dishes processed from this pig. Its meat can be steamed, boiled, baked, stewed, and the taste is very delicious. Another of the best things to do in Sapa Vietnam is trying once Tao Meo wine which is made by H’moong people. It is made from fruits of Tao Meo fruit which is picked from tree grows naturally on Mountain. From August to October, it is harvested so you can buy the fresh Tao Meo fruit. Therefore, it is fragrant by nature. If you are a person like the natural wine, it is a great chance for your trying. Tao Meo wine comes perfect with unbelievably good brook fish.